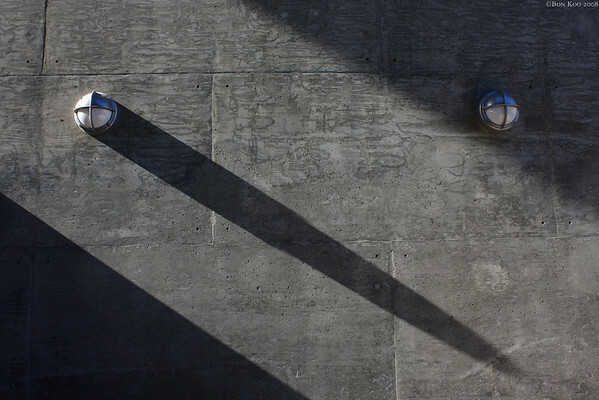 Concrete wall, a couple lights and the shadow. very nice composition! great lighting.